Our in-home tutoring caters specifically to 12th grade courses, helping your child master specific subjects in order to achieve academic goals. Grade Potential provides one-on-one personalized 12th grade tutoring that enables students to achieve learning objectives and master subject matter. Our tutors have extensive training and experience with course curriculum. From English to Physics, we give your son or daughter the tools necessary to meet specific academic goals. Our 12th grade tutoring is adaptable to you—your location, your schedule, your needs. 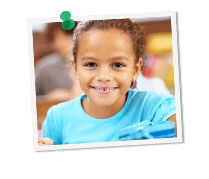 We know how important convenience is to busy families, so we let you choose where and when tutoring takes place. Let us know where to go and when to meet, and we’ll be there!